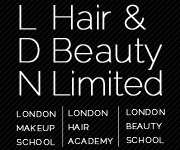 London Hair and Beauty, the London based hair training school is looking for paid Asian hair and makeup models for the whole week from Monday 25th to Friday 29th of November. All appointments will take place at London Hair and Beauty’s building on Curtain Road from 9.30am to 4.30pm. Full day pay is paid £30 while half day is paid £20. They are also offering Free haircuts and £15 Highlights and Colours all week. Check the dates and times below and if you want to book an appointment just send a text to 07714 300 039. You may also want to have a look at the available Jobs at John Lewis Partnership in November 2013.